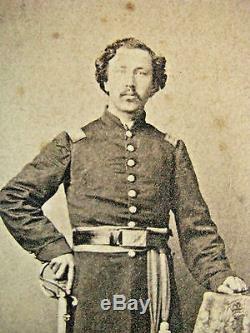 The 2nd Iowa Infantry was a notable Union Army Regiment, 1861-65 with a proud combat history incl the Battle of Fort Donelson, Tennessee where they led the assault on the Fort. 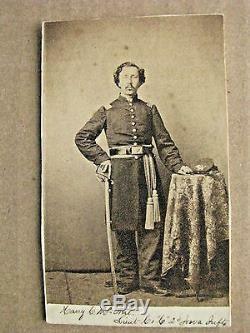 An original Civil War CDV photo of Henry C McNeil who served 3 years with the 2nd Iowa; a resident of Davenport he was wounded in action at Fort Donelson, Tennessee & at Corinth, Mississippi in 1862. The full standing view has a nice view of his 2nd Infantry insignia on his kepi and his cavalry sword, belt & sword knot. 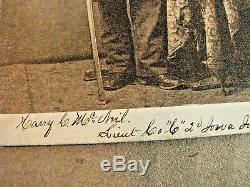 The front mat is ink inscribed "Henry C McNeil Lieut Co C 2nd Iowa Infty" The reverse is blank; the image was likely taken by a field photographer. Minor edge trimming and wear, Overall Exc. General Orders and other imprints. All items are unconditionally guaranteed to be authentic and in the condition as described. 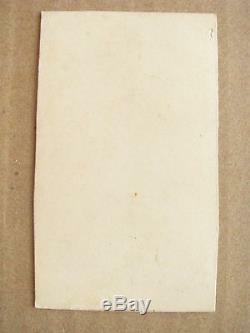 PLEASE READ DETAILS OF THE ITEM DESCRIPTION. I TRY TO DESCRIBE ALL ITEMS ACCURATELY. 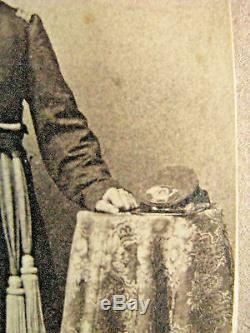 The item "IOWA CIVIL WAR 2ND IOWA IDENTIFIED OFFICER CDV PHOTO INFANTRY" is in sale since Sunday, April 15, 2018.